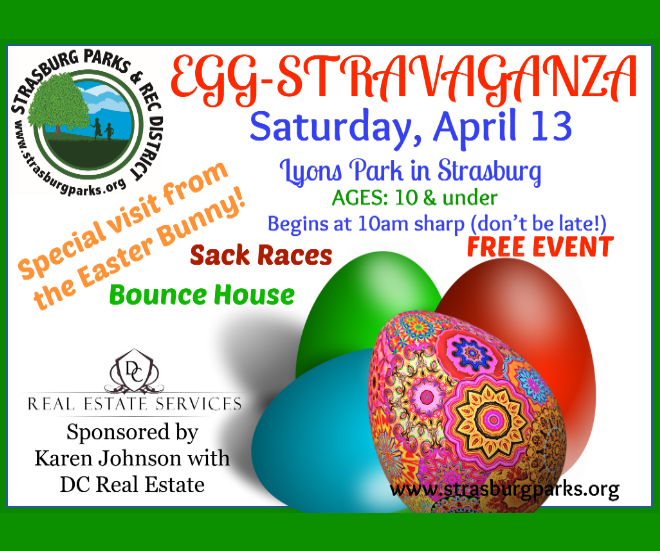 Discovery Time Preschool was established in 1989 and is operated by the Strasburg Parks and Recreation District. We are a non-profit private preschool. It is our mission to provide a fun, safe and secure learning environment where creativity is always encouraged. We wish to provide an environment where learning takes place and instruction and encouragement is given to children according to their unique abilities. Discovery Time Preschool believes that early childhood education should be a time of fun, warmth, security, exploration and discovery. We want to help children transition into primary school with the ability to make good choices as well as being academically prepared. For more information, visit the website. Questions? Call (303) 622-4156.